Nora Stockhausen is the vice president of the Municipal and Reactivation Business Unit for Calgon Carbon Corporation; she is responsible for commercial activities in the municipal drinking water market and for manufacturing activities for the company’s North American reactivation operations. Based in Moon Township, Pa., Calgon Carbon is a world leader in providing products and services for purification, separation, and concentration in the processing of liquids and gases. The company’s markets include municipal drinking water, environmental water, environmental air, industrial process, food and beverage, personnel protection, and metals recovery. A chemical engineer by training, Ms. Stockhausen has more than 26 years of experience with Calgon Carbon. She has made contributions in the areas of research and development, commercial development, information technology, customer service, logistics, and manufacturing. 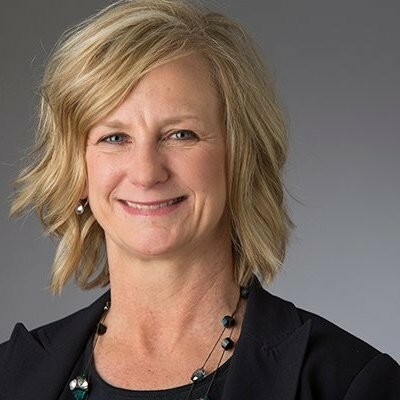 In her roles at Calgon Carbon, Ms. Stockhausen has been involved in a wide variety of projects that have increased revenues, reduced costs, or enhanced manufacturing capacity. She has implemented a number of expansion projects at manufacturing facilities, has overseen the construction of a new manufacturing plant, the rehabilitation of an idle manufacturing facility, and has created new logistics and inventory classification models. In each case, the projects made an immediate and lasting impact. Ms. Stockhausen completed her BS and MS in Chemical Engineering and the EMBA program at the University of Pittsburgh; she is a member of the Beta Gamma Sigma national honors society. She serves on the board of directors for the Women’s Center of Beaver County and is a member of Leadership Pittsburgh XXXI.